The age old Nature versus Nurture debate is especially poignant in the dog arena. Is a dog a product of its breeding or of its upbringing? From my experience it is a bit of both, which can be a wildly unpopular opinion depending on how vehement you are and on what side of the debate you fall. Before you get all riled up and start sending me death threats, listen to what I have to say. This post is about training your dog, not fixing aggressive behavior, which is what everyone assumes when you start talking about Nature versus Nurture in dogs. Whether or not aggressive behavior is a product of Nature or Nurture is an entirely separate post, which I will tackle eventually. Now back to the subject at hand. Every dog has its own, unique personality. That is why my dog training methods center on tailoring your methods to your dog. No two dogs are exactly the same. Even within a dog breed, not all the dogs are going to display the same characteristics. Just like people, dogs are unique, sentient beings. Parker and Gilbert (2015) notes that as dogs have been our companions for between 14,000 and 30,000 years, having shared life and everything it entails with us, have also manifested some of the same medical illnesses as we do. Dogs are one of the most diverse species on the planet, from the Teacup Pomeranian to the Tibetan Mastiff. Genetically, certain homogeneous phenotype strains within domestic dog are responsible for displaying the characteristics we call breeds. It has just been since the Victorian era that the vast array of specific dog breeds has emerged and become standardized (Alderton, 2002; American Kennel Club, 1998; Parker, 2012). Previous to the Victorian era, dog competitions centered around abilities rather than conformation. As the idea of breed clubs boomed, so did the breeding industry, and thus we have the variety of breeds we have today. With breed specificity, functionality did not (mostly) die out. Albeit many dog enthusiasts will bemoan what conformation showing has done to their breeds' sporting capabilities. Are there Labrador retrievers that have no interest in retrieving anything? Yes, but not many. Are there Border Collies with no herding instincts? I have not met one yet. Are there Rat Terriers who would be best friends with a mouse? Maybe, but more than likely they will instinctively want to murder said mouse rather than cuddle said mouse. So use that to your advantage. 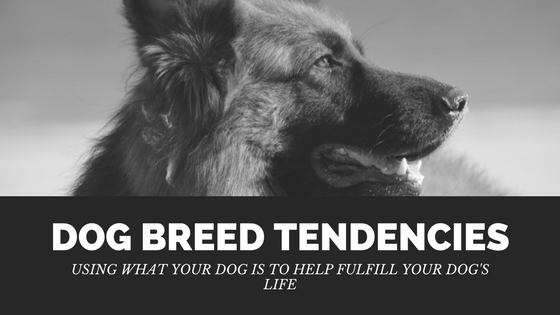 Research your dog's breed(s) and find out what drives those breeds. Do a little experimenting with this information and see if maybe you can find a sport your dog will enjoy. After careful research, you have found that your dog is....a lap dog. What breed tendencies does a lap dog have? Well...they like to be in your lap. My older brother calls them "sleeve dogs" because Pekineses were bred to sit inside the sleeves of Chinese empresses (my older brother is a rocket scientist but he does not always have the most tact. His blog on all things science is listed on my blog links too. If you want to check it out it is amssolarempire.com). I think companion dog is probably a nicer way to say sleeve dog . It means they crave being with you. That's great too! You did get them, after all, to keep you company. You ask: Sammy, every Husky I have owned loves to escape my yard like Houdini....is there a sport for that? Um....that is one of those breed characteristics that you might have to train out of them. Huskies do love to run. Maybe attach a sled to them? And build a taller fence? Finding what your dog loves to do is just one more step in a rich life with your dog. What if you really wanted a top dock-diver, but your dog hates the water? Hit the drawing board and see what else your dog might like. Just like our human children, they might not all be exactly what we envisioned, but we love them all the same. only upon word of mouth,first impressions etc. could be iffy..I can see where a modicrum of a check could be benefiical for both client and provider. Do trainers want anyone to be able to "hang out a plank"? well. A voting board of elected representatives,if hearings are open and fair, are entrusted to act in the interest of all citizens.